Can I Continuously Rotate My Product? Without requiring a conveyor tooling changeover or separate equipment, Glide-Line’s Lift and Rotate Unit is able to smoothly and continuously rotate your pallet precisely or oscillate it between two points with exact accuracy. 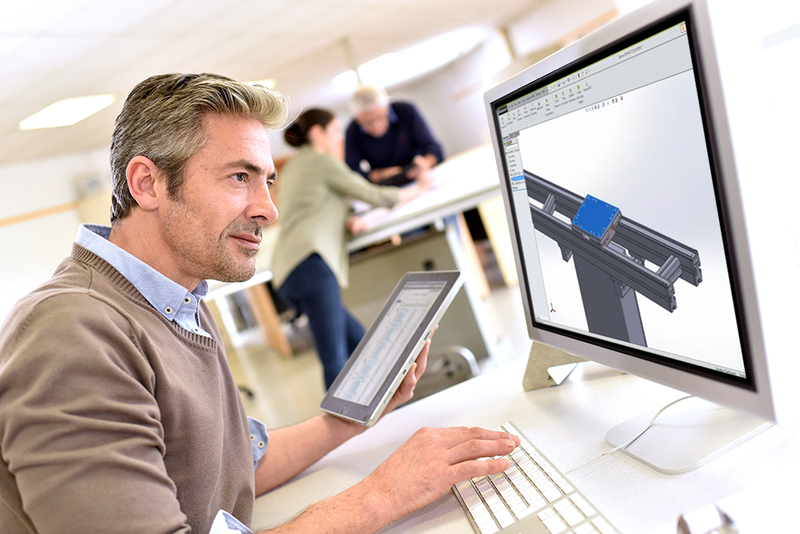 This can satisfy a number of applications within an integrator’s automation system design. These are some common challenges solved by continuous product rotation on our Lift and Rotate Unit. Continuous product rotation can often refer to oscillation between two angles. Our LRU is designed to provide precision accuracy for product rotation at any angle, including angles used for oscillating the product. Whether you’re prepping a surface for the next step in the assembly process, or rotating a product for inspection, the movement is smooth, controlled, and precise. Glide-Line’s conveyor-mounted Lift and Rotate Unit is electrically controlled, and can be programmed to smoothly stop at any angle in a rotation. If your client needs to rotate their product to a precise point, or even multiple points, the LRU is an efficient solution. Obscure angled stops are no issue for the LRU. We see this application used frequently for inspection, particularly on products with odd angles that require inspection on all sides at multiple points on each side. Ours incorporates a servo motor that allows you to control the angle your clients need to access using the LRU. The LRU’s precision abilities can position a product under an automatic screw installer and rotate the product as needed to install additional screws. Continually rotating products while applying labels is an efficient way to keep products moving through a line. Precision rotation operations can also benefit from the Lift and Rotate application from Glide-Line. Think of this scenario: a product, such as a special spool assembly, is coming down the line on a pallet and you want to rotate it 180 degrees to apply an etching. The pallet stops and then rotates while being etched. The continuous revolution capabilities of an LRU mean the etcher can be in a fixed position, saving you the expense of a robot or custom mechanism to circle the product. 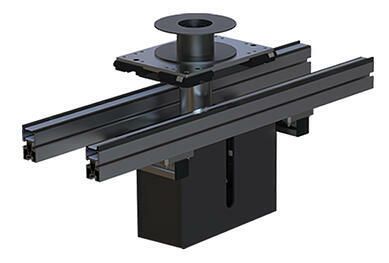 The Lift & Rotate Unit is useful for laser preparation. It works by rotating a ring or other object at a constant speed under a laser to prepare a surface for welding. You’re able to completely control the rotation angle, speed, and revolutions while smoothly oscillating the product. With the capability to rotate continuously, winding spools of product can occur directly on the pallet as part of the automation process. Our Lift and Rotate Unit opens possibilities to solving many challenges within your client’s automation system. For example, if your client’s processing machines would be best situated in your layout in a way that would require rotation to provide the best maintainability and maintenance access, you might try to re-organize the layout to avoid rotation. Your adjusted layout may be sub-optimal for efficiency. Instead, if you have the ability to use the rotating function in a precise way, you’re able to position the machines optimally. It gives you flexibility in handling the product and allows you to move the product in unique ways. When you’re engineering the main pieces of the system that come together, the lines connect everything together, and Glide-Line’s LRU gives you the flexibility to rotate conveyors or pallets as needed throughout your automation system. Ron Schwar is the Godfather of Glide-Line! A machine designer by trade, with experience designing everything from bottle cappers, to fiber optic embroidered apparell and even un-manned helicopters, he has seen it all. His passion is to develop innovative products for engineers that are easy to design with, easy to design around, and set the bar for industrial automation. He loves a challenge and does anything that he can do to make Glide-Line the best it can be. Glide-Line offers the most versatile multi-strand panel and pallet-handling solution available for the assembly automation industry. We solve problems that other conveyor systems manufacturers won’t. We developed Glide-Line from the ground up with a few key, driving factors in mind. First, our conveyors had to be robust and reliable. Second, they would be simple – easy to maintain and service. Finally, we insisted on flexible configurability, creating an efficient, hassle-free customer experience. We’ve built the most versatile multi-strand panel and pallet-handling solution available for the assembly automation industry.